The management of Maybank regrets to inform you that your account will be blocked for security reasons as we discovered a serious problem with your account and system security. Reactivate your account now by following the below secured location. Please click here. Inactive accounts will be terminated within 2 hours of notice. We are sorry for any inconvenience caused. I bet at least once, you have received similar phishing email camouflaged as a trustworthy entity attempting to acquire your username and password. Of course you will not be fooled and will not “reactivate” your account as told. Although the success rate is extremely low, to lure the unsuspecting, a phishing kingpin, Valdir Paulo de Almeida (finally arrested in Brazil for leading one of the largest phishing crime rings), in two years have stolen between US$18 million and US$37 million. Terms & Conditions: Take It or Leave It! For banks, they’re pretty safe because account holders are forced to accept terms and conditions set by the banks and risk themselves for any fraudulent of account-theft, free the bank from any liability even on the imitation webpage which look exactly the same like the one the legitimate bank offers. The bank manager explains, “You shouldn’t reveal your username and password to anyone at anytime and at any circumstances.” By that, the bank confirms it’s your fault, and you have to accept your fate of losing your money that they kept. My last topic “Killer and Numbered Account” brought up a question. For numbered accounts, is there any possibility to implement biometrics verification such as FingerTec OFIS as an added security feature to prevent account-theft? The answer is apparent, a NO. Even if the Swiss banks agreed to adopt biometrics identification, the approvals of account holders are impossible to obtain because anonymity is a privilege in these banks. How about ordinary people who wish to keep their hard-earned money safe in the banks? 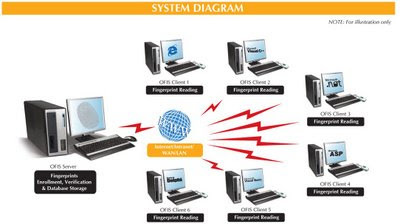 If a bank wished to embed fingerprint modules to enhance security in their ATM machines or offered a fingerprint device such as FingerTec OFIS to customers to verify their identity before making any transaction online, of course I would contemplate on the idea of whether FingerTec got the job or not. Why are the banks still adamant not to improve their security systems although the account-theft have cost multimillion-dollar losses every year whereas the state-of-the-art technology is available in the market? The only viable explanation to this is the fact that the loss is on the expense of customers, not the bankers. Online banking is definitely a current trend in banking. You’re not required to physically appear at the bank to withdraw money from your own account or to do transfers, paying bills, buying shares, and etc; all the transactions are done remotely by typing a set of alphanumeric codes on a keyboard. Do you feel safe? To certain the uncertainties, this is the challenge for remote identity verification system. 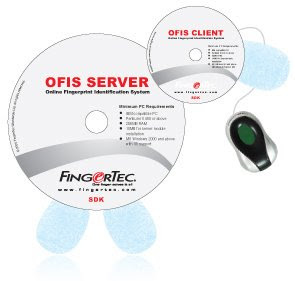 And the FingerTec OFIS (Online Fingerprint Identification System) is the ideal logical access control solution to prove that that is actually a real human being with confirmed identity doing the transactions from a remote site. The Most Famous Man of the Year – The Killer, Moon. He didn’t take any single hired job, but he established his own website to invite the public to collectively pay and hire him as a killer to assassinate the infamous public figures. Do you want to get rid off a corrupt politician whom you’re unable to do it on your own? Are you willing to take a side when we refer to it as public justice? Do you wish for these wicked criminals to vanish from the city? Contribute any amount of your money, your conscience, and the most precious part of your soul. Once the Swiss Bank’s numbered account confirmed the sponsorship reaches its bottom line, the justice will be loaded with bullets to aim at the target. “Moon in action.” Once again it becomes the headline in newspapers. “Moon got it, again!” There were close-ups coverage of news for the next six-month. 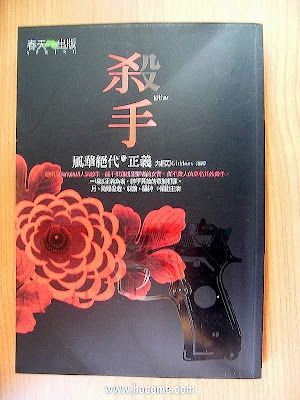 I translated the above excerpt from a Chinese novel, “Killer”, written by Giddens (九把刀), who also is one of my favorite authors. Gidden’s novels are filled with fascinating, imaginative and creative works backed up with strong logics. The narrations and dialogues flow smoothly, with surprising twists and turns along the story. I like this particular plot, because it offers a way out for common injustices occurring everywhere in the world. Would you ever sponsor a justice-killer to slay the most corrupt politician, or the evil corporate figure that’s been swindling money from the public, who couldn’t be brought down by the legal system? Legal System: Legalize The Illegals? The killing acts of Moon indignantly defy the inefficient authorities and judiciary system and make them a laughing stock, but the massive contribution from the public can also be diagnosed as a mass vengeance from the depressed majority. No doubt, by wiring money to Moon, contributors have the potential to be charged as an accomplice under the penal code. 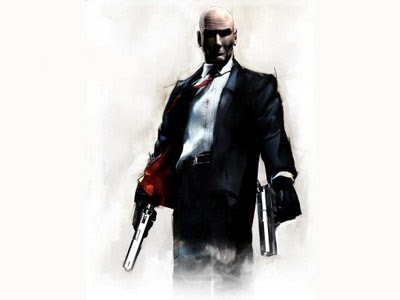 Just like a lot of corrupt and filthy monies stashed away in Swiss banks, the sponsorship for the Moon’s killing assignments and his identity is well protected under an anonymous numbered account; no matter how hard the authority pushes the envelope to demand a disclosure of the name list. Life is full of contradiction. Can a dictator’s privately owned numbered account still be categorized as classified information, which the bank has the rights not to divulge to investigators? I can expect a lot of arguments from different viewpoints. I discontinue the discussion here to let you do your own thinking. I switch the topic to discuss a little on the numbered account service offered by Swiss banks and some other countries such as Andorra, Austria, Gibraltar, Liechtenstein, Latvia and Panama. The key feature of numbered accounts is that the customer’s name does not show on bank statements, only the number and code-name are available. This means, if bank statements are lost or stolen, the account holder is protected. The identity of a numbered account holder is only made known to a limited few in the bank. Although Swiss banks have strict anti-money-laundering rules and laws, still, numbered accounts have been used for criminal activities, like corrupt politicians hiding money embezzled from citizens. I end my topic with a very simple question: For numbered accounts, is there any possibility to implement biometrics verification such as FingerTec OFIS as an added security feature to prevent account-theft? Time is precious. I learnt this later in life when I found myself having not enough time to spend at my own leisure. The brutal fact is, everybody gets 24-hours a day. No one in this world gets more, neither Britney Spears nor Courtney Love. You can’t pray to God and ask for an extra 3 hours in the first week of next month. You just don’t get more. Period. And, it’s totally up to an individual to use hours he gets in his life to make it worthwhile. But at the same time, why did some people achieve more and others did less? Interesting. Time wasn’t an issue in the older days; clocks were merely accessories. Time becomes important when each hour equals dollars and cents. Time becomes vital when companies decided to be calculative; when words like productivity, discipline, and man-hours meant something. 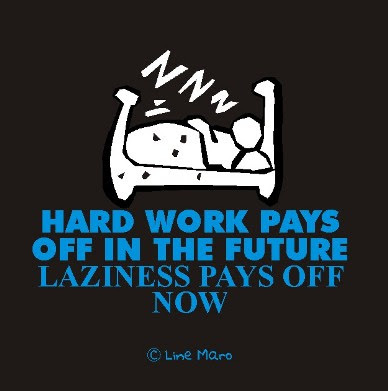 In the older days people who did not use the time wisely were just referred to as lazy. To actually time people, a punch card machine was introduced. Every staff was given a card to time his working hour. There was even a song made about punch card sung by the late Sudirman, which went like this in my translated version. “People were hustling and bustling to get into the office on time. Punch card! You gotta be hurry! Punch card! You gotta be hurry!” I was in primary school at that time and though I didn’t really understand what was a punch card, the melody was catchy. I’m not pulling your leg! A SONG was made about punch card! When I was serving a government agency 12 years back, my days went in slow motions. They were like Keanu Reeve’s Matrix moments every day except when I had to catch a bus for a ride home. Work finished at 430pm but at 3pm everybody was restless to leave the office. At 4pm, there were some fellows already lined up in front of the punch card machine to make sure a constant 430 for a month on the card. I could have used some of those times now, if possible, to do some of the things I needed done. Implementations of the punch card were good until one fine day a ‘brilliant’ employee had an idea to ask his colleague to punch the card for him while he went to watch a movie with his girlfriend. “Buddy-punching” term was created, the meaning spread around and everybody was relieved to discover that the system had flaw. And that was when the resellers of punch card knew that their days were numbered. Well, not exactly like 10,9, 8, 7, 6 kinda count down. It took the people in the industry years to still be doing cards like proximity and smart card, but when biometrics technique like fingerprint was introduced for office automation, the real thing has arrived. Sorry-dear-friend, I-can’t-help- to-punch-your-time-no-more scenario plagues the offices. Unfortunately, no song was made this time. I got a bad news from a friend in USA recently. She told me that its either a pay cut or a job cut for her. She doesn’t really mind a pay cut but what about if the worst happened. In difficult times like this, purse strings are pulled tightly; every cent going out and coming in counts, and everybody realizes he has a Dutch in him. And Time Machine Becomes SophisticatedIn times like this, an employee wishes she could have practiced more discipline. In times like this, an employer wishes he/she some kind of indicator about how a fellow staff uses his time. Fingerprint system for time attendance is not about benefiting employer only; it works to the best of both sides. Automated reports generated by fingerprint readers counted hours more honestly than before. Employee has honest records to show his performance and employer has honest records of his employees. And honesty is STILL the best policy! Time matters. When work hours equal pay and when hours work equals performance, time is a necessity. And by writing this, I spent many minutes of my time not watching my favorite American Idol. Thank God for reruns. What’s Name Got To Do With It? Whoever says that choosing a brand name for a product is not THAT crucial to the business needs a brain check. I’m serious. As I was watching Australian Open a week ago I kept seeing the logo of Nike, which was correct all the time. The name is simple yet unique, hard to copy. The closest I can think of is Hike or and it still doesn’t sound close to Nike. My father used to have a pair of Abibas sandal and I thought that was hilarious. Virgin is another example of a good name; applicable to various industries and at the same time oozes innocence, truth, and pure vibe to even saying the brand name. 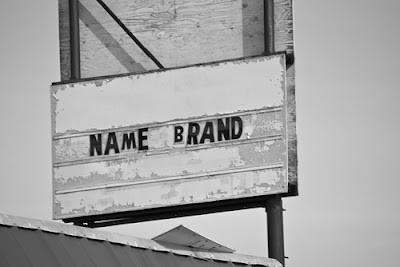 A name creates energy around your products, it basically determines the destiny of your products, it has the power to move or to remove your products from the market. Apple is an extremely good name. 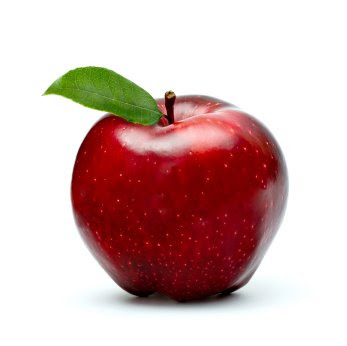 For those who made fun of Gywneth have to first see the history of an apple. It’s innocently inviting yet dangerously cursed in the story of Adam and Eve, the same plot retold in the Sleeping Beauty, an alluring products with dangerously huge potentials in the computer and electronic market when it comes to Apple, the brand. Apple is indeed a good name! FingerTec for fingerprint product is a match made in heaven. However, there’s also a hurdle when it comes to diversification. 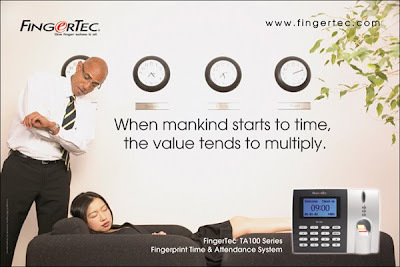 The name FingerTec is a little bit off for iris technology, palm, voice, cards and cameras for example. So, shall we name our new product line Pomegranate or Papaya? I’m not here to introduce an additional new Wonder to the existing Seven Wonders, and it’s nothing to do with tourism either; but rather an adoption of the name based on the concept of the remarkable manmade creations that did wonder to the mankind civilization. 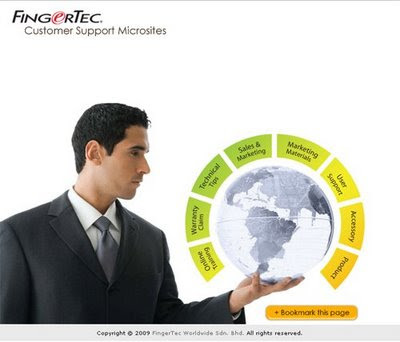 Yes, it is all about our Eight Support Websites to work as our core platform, and how it delivers wonders to FingerTec's resellers and its end users. To some outsiders, they seemed surprise when I told them we export FingerTec products to a hundred countries merely by deploying our Internet support system. Neither we set up any regional office, nor we travel for face-to-face meeting with our resellers to conduct any technical support or sales training abroad. 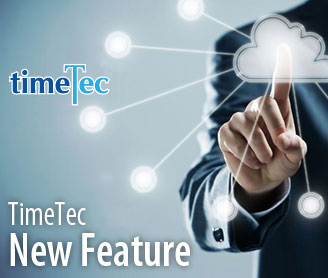 By using email, MSN, and Skype as communication tools, and our monthly eNewsletter to disseminate FingerTec latest news; the Eight Support Websites, play its designated role in covering almost everything that resellers would need to move the FingerTec business. Though now everything is up and available, it takes years of hard work to get there. How to use the websites? Some resellers are fully aware of the treasures and totally make use of them without requiring further guidance from us; but some did write to us whenever they encountered unique problems, required us to prompt them to the right document(s); and some hardly refer to these useful information. I have two suggestions for better expedition. First, especially for distributors who have appointed some dealers themselves, they should take an initiative to help their dealers to register as members, encourage them to share the same resources. Second, push the resources out rather than waiting for them (your dealers) to come around. If you’re a distributor, besides encouraging your dealers to take the tour, you may also from time to time pluck one or two pieces of information, forward them the links or as download files. For example, every dealer needs product presentation’s PowerPoint or some training documents. Retrieve them from our Sales Website (http://sales.fingertec.com); or at our Training Website (http://training.fingertec.com) and forward these documents to them, it would definitely entice them to visit the resources. This site displays all FingerTec models in What You See Is What You Get (WGSIWYG) format, including all items provided in the package. To check on any discrepancy in packages you received from us, please refer to this site. 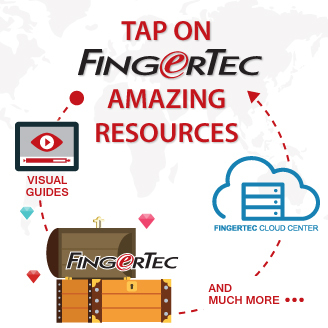 This site displays a wide range of accessories; some exclusively designed by FingerTec and some are offered to our resellers for easier sourcing, so they can make FingerTec products a complete solution for access control or for time & attendance system. This site is for resellers to request brochures, posters, buntings, backdrops, and all kinds of marketing materials. We will consolidate shipping with your product's order to save transportation cost. This site helps the resellers to support end-users. 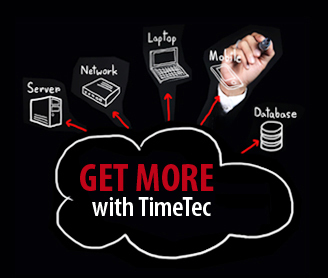 Troubleshooting for hardware and software, software upgrades download and etc, are meant to reduce your support cost. My advice is, the more you tap on the websites; the better you’ll find them helping you to grow your business. Share the resources, and spread the materials around to your dealers and customers, it would do wonder beyond expectations. The difference between the Seven Wonders and the Eight FingerTec Wonders is, the former stays as they are as the witness of the mankind's history, anything added to it would spoil its true nature value; but for the latter, the value will increase through our ongoing content enrichment process at all times. We’re kind to share the treasure with you; you’re most welcome to grab whatever you want!